We play games all the time, but have you ever thought of the intricate process to bring the game to you? Well now you can play the part of managing a development studio to create games for the latest consoles in an attempt to make a top selling game. 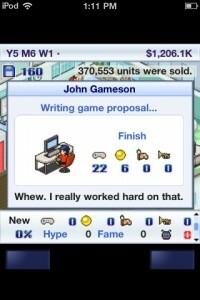 You hire the staff, train them, and then try to grow your studio with independent contracts and developing your own games with combinations of many different genres. The game is a simulation over a 20 year time period with about one year per hour ratio. There are multiple game positions with coders, writers, graphics, and sounds and each game has four main categories to develop for with fun, creativity, graphics, and sound. The game development cycle begins with choosing the genre and style, and then choosing the writer, with development up to alpha stage. Then you choose the character designer, then develop to beta stage when you choose sound, and then debug, and send it off to reviewers. 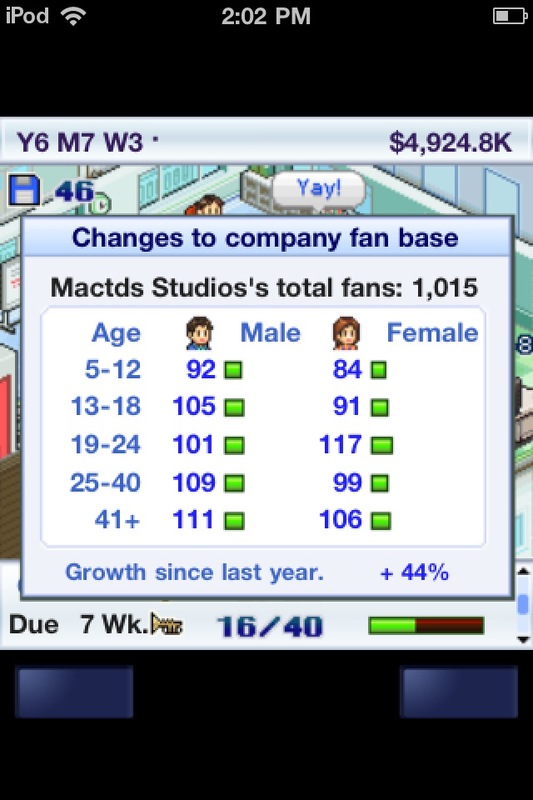 You can add in advertising at any time to build your fan base, and you can train and level up your staff. The game is so easy and simple to pick up with such a great theme that is a solid connection to anyone who's interested in the game industry. The game is set up so everyone can understand every aspect, and then excel at the game. You start your staff with the main positions, and then try to upgrade the main skill set as much as you can. Money is hard to come by at the start, as well as the ability to make good games, so you'll want to start by contracting out your services. 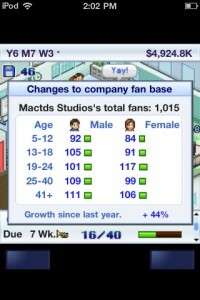 Once you get a few years in, money is less of a concern, and you can really start to make great games. 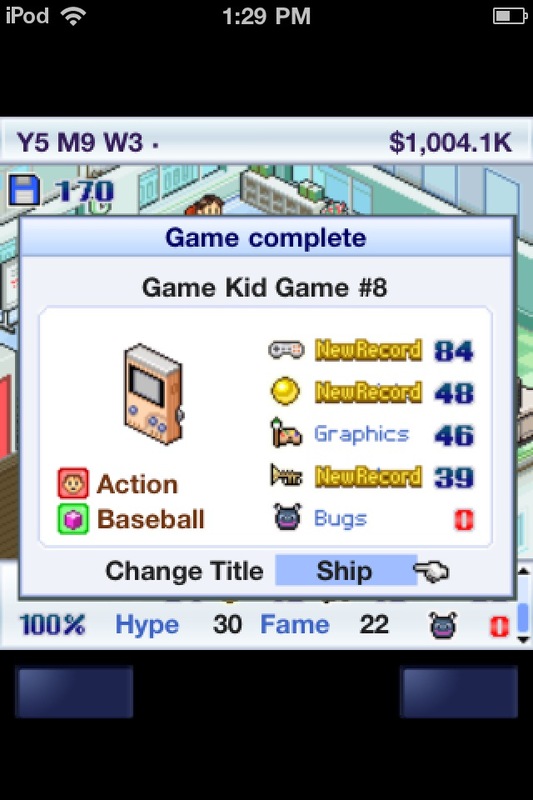 As your staff works away in front of computers, icons pop up above their heads regarding which aspect of the game they've improved, and you care so much to see the ratings increase in each of the four game categories. Once you start Game Dev Story it's tough to put it back down as it's so easy to move on to the next development cycle, and improving on what you just did. There are all kinds of game genres to mix and match with, and you can always improve the attributes of your staff to make your next game that much better. 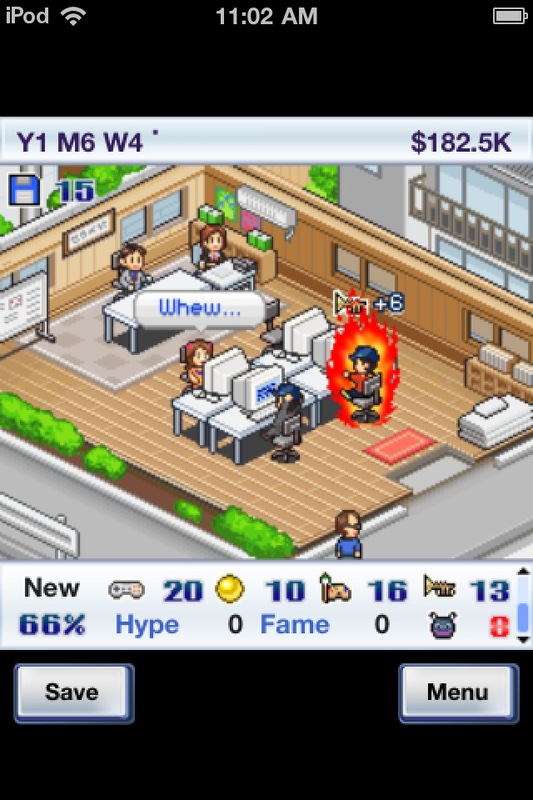 The speed of the game is such that you’ll always want to have your staff working, and so you start a new project rather than exiting out the app, and the game is set up so well to do this over and over. There is never a dull moment in the game with always something you can be doing. Then there are award shows and conferences to attend, and new consoles are always released. The game doesn't have the most advanced graphics, but the classic bit style is very well polished. It's great to see your workers catch on fire, and spur on some really good development. There is a very deluxe soundtrack with a lot of various tracks that fits well with this sim game. 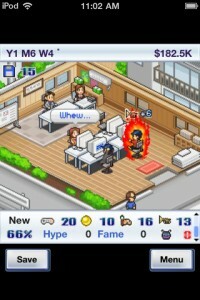 Maybe the worst aspect is that you can really become hooked on this game, and play it for hours on end, so be warned. The graphics don't even fill the whole iPhone screen which is a little disappointing making some of the scrollable options tough to operate. You can tap in a wrong place from time to time with such small tap points. 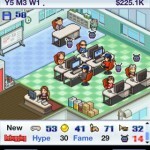 Game Dev Story is an outstanding simulation game, and may be the best sim game in the App Store with such a great theme. The game is set up extremely well, there’s never have a dull moment with constant action on your part you just can't put down. 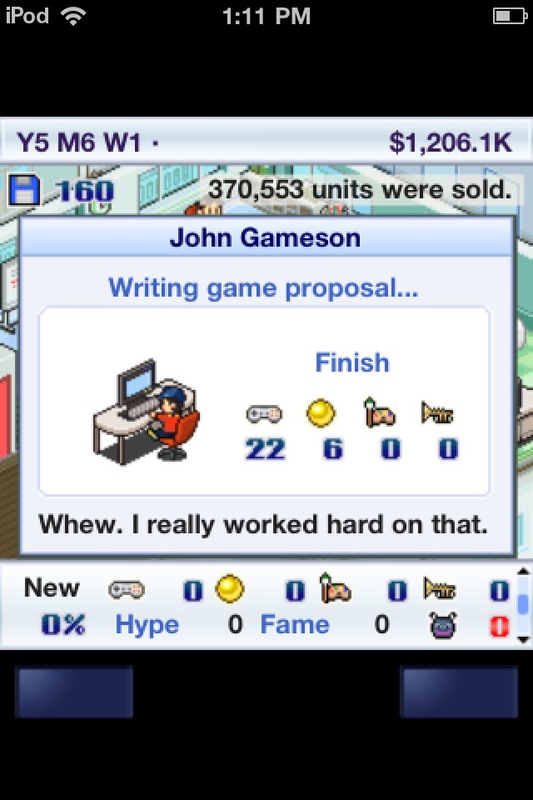 The game development process has you so involved that you really care about your fictitious games and staff. 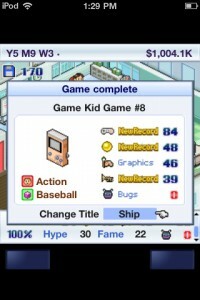 Game Dev Story is a should buy for $3.99 that will keep you entertained for hours on end. 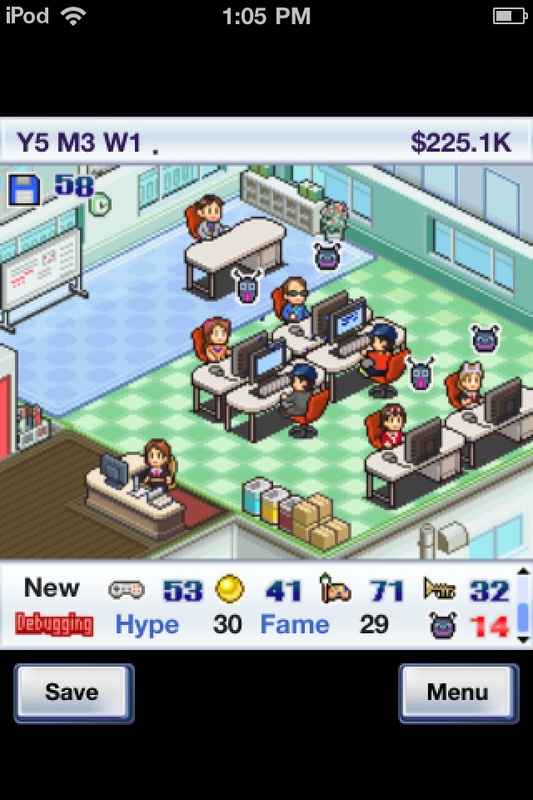 Kudos for great game development by Kairosoft.